There are medicinal teas, bitters, and even cocktails that can employ healing elements. It may be the dark months, but you can be the light! If insomnia is your issue, consider red wine or sangria with cloves. The most favorite old fashioned cure-all is the hot toddy: 1/2 c. scotch, 1 lemon, 2 tsp sugar, 4 whole cloves, nutmeg, 1/2 c. boiling water. Peel lemon and put it in the bottom of a glass with sugar. Use a wooden spoon to press it. Set aside for 45 minutes. Now, quarter the lemon and squeeze it into the glass. Now, add whisky, cloves and boiling water. Stir until sugar is dissolved. Grate nutmeg on top. Think about adding medicinals to your alcohol - utilizing spice and herbs. Rosemary and ginger are my two favs to actually put in beer or make sangria and add to cocktails. When I made a spiked tea, I use candied ginger in it for flavor and sweetener, but when I'm done drinking it, I eat the ginger for the medicinal help. You can do the same with blueberries in your tea or cranberries. Eat them when done drinking. Bitters: Alcohol mixed with botanicals to give an essential concentration of the properties and tastes within the plant matter. This can be used for medicinal purposes, cocktails or cooking. A dozen bitters I have made (above); cinnamon, almonds, cranberries, cloves, ginger, fennel, orange peel, cardamom, mint, basil, rosemary, and cilantro. Drops can be added to tea or water for curative properties and health and vitality or added to cooking for enhanced flavors. Grain alcohol, mason jars, items you wish to turn into bitters, and I use hibiscus tea leaves - they add the "sour" bitter component nicely. Put a few ounces of the grain alcohol in each jar, add a bunch of the diced items - herbs/spice/root/berry/nut - and then add a tsp of the hibsicus tea leaves. Seal. Sit aside and shake now and then for about 2 weeks. When you open and smell it, it should smell of the item you infused more than the alcohol. Strain. I put them in dark dropper bottles (you can find them on Amazon). It protects them from sunlight's effects. These can be used in cocktails, hot teas, or add to water and drink. They give concentrated nutrients, great tastes, and the alcohol makes them relaxing and calming. If I have a cold, I use the parsley and rosemary in my tea to break up mucus. If I have tummy issues, I use ginger or mint. If I am aching all over, I use turmeric for anti-inflammatory response. Spicy green tea is an herbal tea remedy helpful in aiding immune functions, as well as breaking a fever and soothing a sore throat. Cayenne and ginger will both increase circulation and sweating, which is often useful in breaking a fever. Moreover, ginger is an effective anti-inflammatory for sore throats, while honey has long been believed to soothe a sore throat. Green tea has wonderful anti-inflammatory properties. 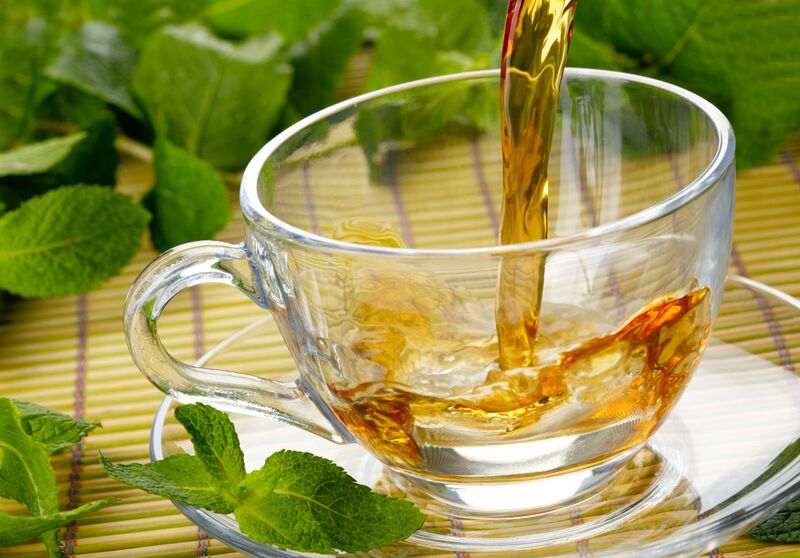 Green tea is also associated with increased immune function and with combating influenza in general. Add to boiling water and steep for at least 20-30 minutes. Strain and drink. I also hang rosemary sprigs or eucalyptus from the shower head to steam up the air a bit with the sinus-clearing properties. Add to boiling water and steep 10 mins. Drink 2-3 times a day. Ginger is amazing on queasiness! Mint is great for gassiness, as is fennel. I chew fennel seeds when I have gas issues. Cherries are a natural anti-inflammatory (25 cherries equals about one aspirin in anti-inflammatory effect). Cherry juice is a good one to have on hand if you workout a lot or in the wintertime you are feeling your past injuries, carrot juice is a close second. Green tea is good and if you add turmeric root or turmeric powder (1 tsp), it has amazing anti-inflammatory properties. And, don't forget having Epsom salts on hand. I get a big bag at the drug store and I put it in a detergent container with an ice scoop to scoop it out. I add scented oils to make it even nicer. The Epsom salts, mag sulfate, is absorbed into the skin and gives good relief. Cinnamon: Mix cinnamon and honey and you get some great antiviral/antibacterial/anti-inflammatory properties. Use organic raw honey if you can. Ceylon cinnamon beats cassia. Mix 1/4 tsp cinnamon powder to 1 tsp honey. Take 2-3 times a day. Basil: Antibacterial qualities and anti-inflammatory. Good steeped as tea. 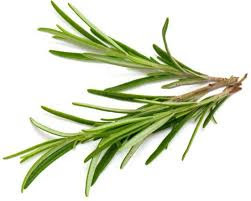 Rosemary: Great for scratchy throat, sinus congestion and head pain. Can be used in tea or as gargle. Ginger: The combo of ginger and cinnamon is a great one for colds. If you can, use ginger root, ground cinnamon and brown sugar as a tea. Source: Put 3 cups of water into a sauce pan. Thinly slice (about as thin as a quarter) 1.5-2 inches of fresh ginger One teaspoon of powdered cinnamon Add 1-1.5 tablespoons of brown sugarBring to a light boil then turn down and simmer for 15-20 minutes. Parsley: Helps kill bacteria, great for ear infections and stomach troubles.